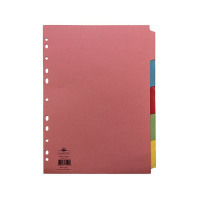 These 5-part concord subject dividers are ideal for arranging and indexing your presentations, projects, filing and notes. Staggered tabs separate documents into sections and are easily written or typed on for identification at a glance. 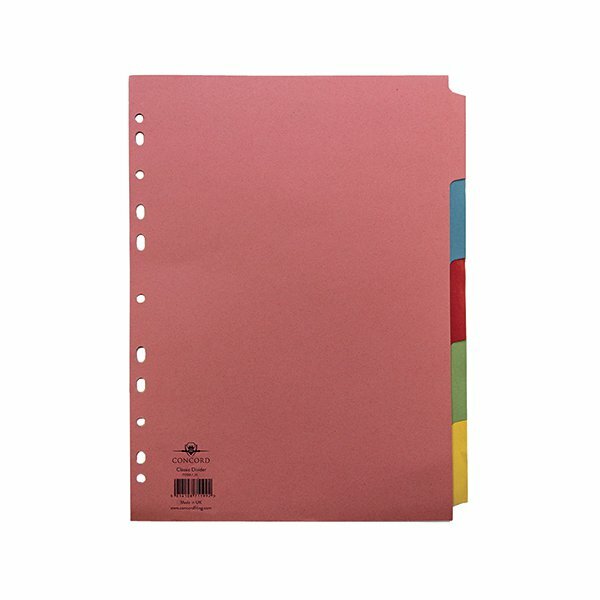 These dividers are made of heavyweight 230 micron board for long-lasting quality, pastel-coloured for a traditional finish and are punched to fit almost any ring binder or lever arch file.